Earlier this week, CPDD member and Director of the Center for Substance Abuse Treatment (CSAT) at the Substance Abuse and Mental Health Services Administration (SAMSHA), Dr. H. Westley Clark, offered an interesting and informative interview on inhalant abuse and research to Goodnewsbroadcast.com. 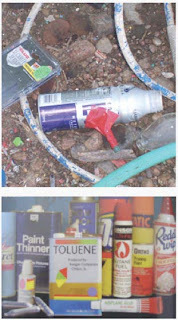 Inhalants include correction fluids, glues, anesthetics, spray paints, aerosols, amyl nitrites (poppers), nitrous oxide (whippets), gasoline fumes, shoe polish, and toluene. Comprehensive information about inhalants can be found on the National Institute on Drug Abuse (NIDA) website and at the website of the National Inhalant Prevention Coalition (NIPC), whose Director, Mr. Harvey Weiss, received the CPDD Media Award in 2006 for his multimedia efforts to convey the dangers of inhalant abuse to the public. Dr. Clark reported on new SAMHSA data showing that adults aged 18 and older make up the majority (54%) of inhalant abuse treatment seekers. The majority of prior inhalant research focused on adolescents and these new data show that adults are vulnerable to developing inhalant use disorders as well. The data suggest that more inhalant research should focus on adults. Are mentholated cigarettes safer than nonmentholated ones? In follow up to FDA Tobacco Products Scientific Advisory Committee (TPSAC) report on menthol cigarettes issued last week stating that removal of menthol cigarettes from the marketplace would benefit public health in the United States, an “industry menthol report” was expected to be filed with the FDA by today by TPSAC members representing the tobacco industry. A summary of the industry report findings including a link to the draft Executive Summary can be found here. However, a research study from Vanderbilt University published today online in the Journal of the National Cancer Institute could be even more effective in influencing the FDA on menthol cigarette regulation than any industry rebuttal. The Vanderbilt study found in a large cohort of smokers aged 40 years and older that although smoking any type of cigarette substantially increased lung cancer incidence and mortality, use of menthol cigarettes appeared to be associated with lower lung cancer incidence and fewer deaths than nonmentholated cigarettes. The study findings may make it more difficult for the FDA to place an outright ban on menthol cigarettes, although the study did not address what happens in children, adolescents, and young adults exposed to menthol-containing tobacco products, in whom there is concern that menthol cigarettes and other menthol containing tobacco products may be a gateway to earlier smoking initiation. Clearly, more research is needed on this issue. The 231-page draft report from the FDA Tobacco Products Scientific Advisory Committee (TPSAC), the result of nearly a year of hearings and analysis, as well as testimony from a number of experts and stakeholders, was issued late last week. An “industry perspective” report is expected this week and will be posted on the FDA Tobacco Products website. 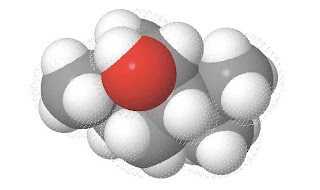 “Thus menthol is not simply a flavoring agent but has drug‐like characteristics that modulate the effects of nicotine on the smoker. The consequences of these effects for menthol cigarette smokers are twofold: the sensory stimulation from the “throat grab” of menthol could provide greater reinforcement of smoking behavior, and the reduced irritation provided by lower levels of menthol could lessen aversion to initial self‐administration of nicotine among novice smokers, thereby facilitating continued smoking that leads to addiction” (TPSAC draft menthol report (03/18/11) to FDA, page 26). However, the report did not recommend a outright menthol ban, a move that received mixed reviews from antismoking advocates and positive reviews from tobacco company stockholders: the share price of Lorrillard, Inc., a tobacco manufacturer deriving the majority of its revenue from mentholated cigarettes, was up today more than 13% over last Thursday’s market closing price. The FDA will review the final TPSAC report and continue to study the issue, and will provide its own report in about 90 days. An in-press commentary in the CPDD journal Drug and Alcohol Dependence reports on a 2010 conference discussing abuse liability of tobacco products as well as their product appeal. Both factors seem to play a role in initiation, abuse, and maintenance of tobacco dependence, and according to the report, tobacco companies know and exploit this fact. The 2-day Conference on the Abuse Liability and Appeal of Tobacco Products, sponsored by CPDD and a number of other organizations, was held on April 8th and 9th, 2010. The first day of the conference focused on abuse liability issues familiar to many CPDD researchers, and the second day focused on product appeal issues, a topic generally not studied by addiction researchers. Product appeal and perception strategies include mechanisms that increase product desire or liking including packaging, marketing, and market segmentation (matching specific products with populations likely most likely to want them). One of the key recommendations arising from the conference is that tobacco products should be subjected not only to abuse liability testing but also to product appeal assessments, and the results from these analyses should be integrated to determine actual risks for smoking initiation, maintenance, and relapse. This integrated approach could help determine whether certain tobacco additives such as menthol, which has been implicated as increasing risk for adolescent smoking initiation and relapse risk for smokers trying to quit, should be banned or regulated, an issue under current consideration by the FDA Tobacco Product Scientific Advisory Committee, which itself is expected to make a recommendation on menthol as a cigarette additive later this month. 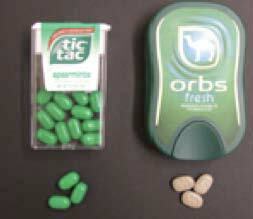 The approach also may help determine whether new nicotine products offered by tobacco companies such as dissolvable tobacco products (below right), which look and taste like candy, and which some have identified as likely to induce adolescent nicotine use and abuse, should be regulated or banned. Some have asserted that such products could serve as safer alternatives to cigarettes and could aid smoking cessation efforts. However, no scientific evidence is available supporting these contentions. In fact, these products have been challenged by the pharmaceutical company GSK which called for their withdrawal from the market until manufacturers can demonstrate safety and efficacy. GSK markets approved smoking cessation therapies containing nicotine (nicotine replacement therapy). The recommendations arising from this conference could lead to new collaborations between addiction researchers and marketing and consumer appeal experts, and also could lead to new governmental regulations for nicotine-containing products.